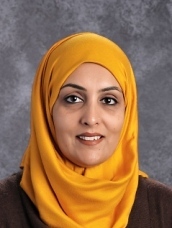 This is Ms. Farah Imam's second year as Elementary School Principal at Al Fatih Academy. Ms. Farah holds a Bachelor's degree in Economics from the University of Houston and a Master's Degree in Curriculum and Instruction from George Mason Univeresity. She has worked in Loudoun County Public Schools as a Middle School teacher for a number of years and then a Middle School Dean after earning an Educational Administration and Leadership Certificate from George Washington University. Primarily, Ms. Farah provides support to the students, parents and teachers in the Early Childhood Program (Preschool and Pre-Kindergarten) and the Elementary School (Kindergarten through Grade 5) through professional development, supervising curriculum and instruction, monitoring student achievement, and fostering a respectful and collaborative school environment.